It seems to come out of nowhere, at least to the first-time parent of an adolescent. Yesterday your kid was just a kid. You have done a pretty good job raising him. After all, he’s still alive, right? You’ve done your part: you’ve loved, sheltered, fed, clothed, protected, and taught him. It hasn’t always been easy, but over the years, you came into your own as a parent. You hit yourparenting stride! You know what to do (most of the time), when to do it, and how to do it. You’ve upheld your end of the parenting bargain. Bravo! But when change and transition to adolescence strikes quickly, it can come as quite a shock. This morning you woke him up to get him going for school and he copped an attitude withyou! You’ve never seen this before. Maybe he was just extra tired today? It could happen, right? Maybe this new attitude was just an aberration, a random pothole in the smooth road of familylife. But then this afternoon when he came home, he didn’t give you his customary kiss hello. He didn’t even give you a hug. You got a grunt while he seemed preoccupied with texting hisfriends. He has always been affectionate toward you. In fact, on this day, he seemed downright surly instead, and then rushed to his room and closed his bedroom door. What just happened? Welcome to the wacky and sometimes weird world of adolescence! Yes, change often occurs suddenly. You may have seen some initial signs of adolescence appearing here and there, but you ignored them as quirks. Now, over the course of a few days, weeks, or months, yourprecious, innocent child has disappeared. And you’re not exactly sure who that stranger is living in your house! Personally, I thought that would never happen to my own kids. My entire adult life had been dedicated to helping teenagers succeed and many of them actually thought I was cool. But when my own kids became teens, the last word they would have used to describe me was “cool.” Looking back, Cathy and I remember the emotional vertigo that the introduction of teenagers into our family dynamics caused. My kids are beyond their teenage years now, and I’m happy to report that they have become responsible adults who actually think my wife and I are cool again. We survived, and so did our kids. I understand. I’ve asked those questions and a lot of others about deeper and more complicated issues. You will find through these pages that you are not alone. Weaning your child fromchildhood to adulthood is just not a simple task. Frankly, it’s not easy for either the parent or the child. I hope that this book and online course will answer many of your questions. 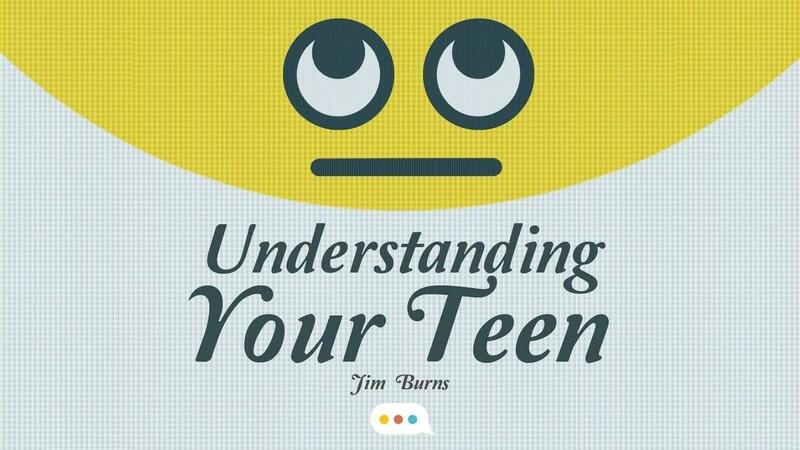 It’s designed to tackle the key issues of the teen years. As we begin the journey of how to successfully parent teenagers, there is some important ground to cover first so that you can ultimately become the parent you long to be and the parent your teenager needs you to be. So buckle up your seat belt. You are in for a ride. The good news is that your precious child who morphed into the “stranger in the house” will one day soon become a responsible adult and may even give you the grandkids you desire. Understanding Your Teen is an online course designed to show parents how they can shape behavior and character, navigate social media challenges, and communicate and resolve conflict in a healthy way. We want to encourage you to cultivate an environment of grace, transparency and humor. Raising teens is tricky, but when you do it in community with like-minded parents you will soon discover that you are not alone. Available immediately after purchase! And purchase the optional companion books on Amazon for the full experience! Includes an admin form to simply add name/email & grant couples the course in 1 click! An unlimited number of couples in your church/ministry can take the course.